Screenwriters:Robert Zemeckis, William Broyles, Jr. 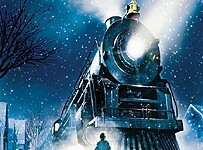 The Academy Award-winning team of Tom Hanks and director Robert Zemeckis ("Forrest Gump," "Cast Away") reunite for The Polar Express, an inspiring adventure based on the beloved children's book by Chris Van Allsburg. When a doubting young boy takes an extraordinary train ride to the North Pole, he embarks on a journey of self-discovery that shows him that the wonder of life never fades for those who believe. Sony Pictures Imageworks and visual effects supervisor Ken Ralston, Oscar winners for their innovative work, help bring this enchanting holiday story vividly to life in full CG animation through Imageworks' next-generation motion capture process, which allows live-action performances to drive the emotions and movements of the digital characters.